Are you looking for a school that "gets” you? Are you curious about the world around you? Are you passionate about pursuing your potential? If you answered "yes" to any of those questions, The Winchendon School wants to meet you. We love sharing our transformative community with young, curious adults. Your teachers are your allies. If there is one thing that can dramatically propel students towards academic success, it is their relationships with their teachers. Our academic environment is designed to foster one-on-one interactions that help students discover and thrive in their learning styles. Find your passions. Your teachers will give you daily and weekly feedback that can jumpstart your current and future ambitions. Our community will provide as many opportunities as possible for you to hone in on your dreams, from excelling in theater to founding a startup, or maybe both! Learning beyond the classroom. Grab ahold of opportunities to study independently, travel internationally, design businesses, and launch public service programs. We'll be right there with you, building your skills and confidence to tackle anything ahead. 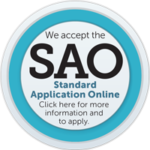 Don't Sweat Application Deadlines and Test Dates. The right time to find a better high school is now - when you are ready - not when someone who doesn't even know you says so. So, don't worry about whether you missed a deadline. 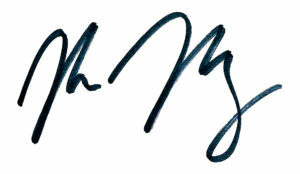 We are focused on getting to know you. Let’s start with a conversation. Contact the Admissions Office for more information or, better yet, go ahead and schedule a visit and see where it leads you. Start your “Hello” with a call, email, or fill out our inquiry form and like all good friends, we’ll get right back to you. There’s lots of information here - from deadlines and testing to recommendations - but we’re here to guide you and your student through the process. 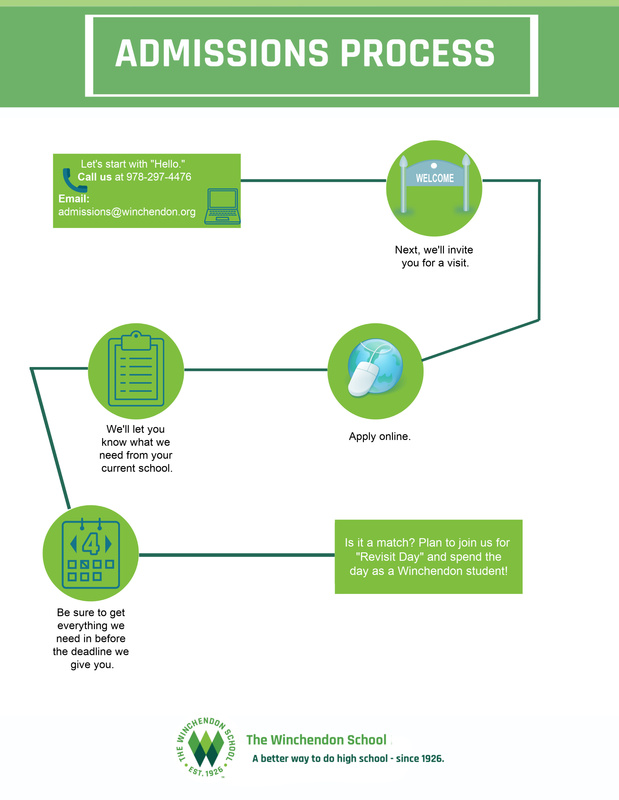 We will let you know which testing you may, or may not need, how to ask teachers for recommendations, and we can answer all your questions about the Financial Aid process too. It all starts with a conversation. Call us at 978-297-4476 to talk. It all comes down to the people. Our students love our faculty – the coaches that support, the teachers that inspire, and the advisors who genuinely care. Each student has a team of faculty behind him or her, always ready to listen, push, encourage, and inspire. The friendships made, lessons learned, and skills acquired at The Winchendon School last a lifetime. 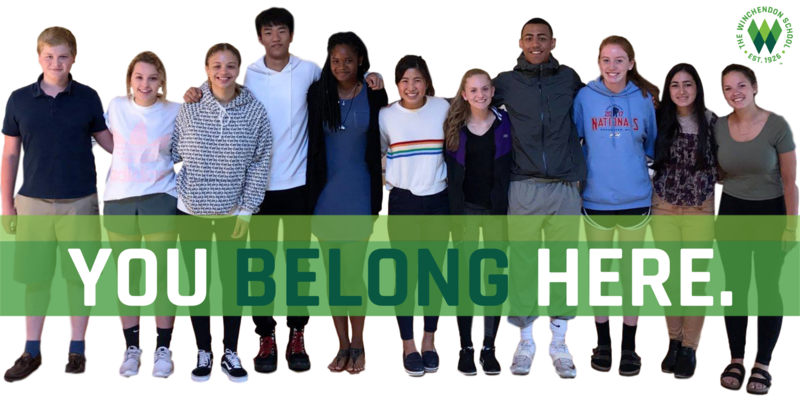 Whether on our boarding campus in Massachusetts or our day campus in the heart of New York City, our pride is in the terrific outcomes for our students: athletic scholarships, top college admissions, exciting careers, and strong values and lifelong skills. A NYC Day School. Click here for a list of upcoming events. A boarding and day school in the heart of New England. You'll find us traveling the U.S. and the globe, meeting with students and families. All international applicants for whom English is not their first language must also take either the International English Language Testing System (IELTS) or the Test of English as a Foreign Language (TOEFL). Visit the ETS website or call 609-771- 7100 for more information. Winchendon's TOEFL code is 3012.
International applications (grades 9-12 and PG) whose first language is NOT English must submit English proficiency test results. 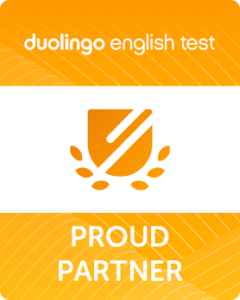 Students can provide results from the DuoLingo English Test (DET). DuoLingo has created a reliable and user-friendly English language proficiency exam that students can take on any platform (computer, phone, tablet). It is a fast and inexpensive alternative to other options—it takes approximately 30 minutes and costs $49.The exam uses computer-adaptive testing, meaning the questions will adapt to each test-takers’ ability, generating a different set of questions for every session. The exam requires the Google Chrome browser and your computer's self-facing camera and microphone. The testing session is recorded and verified by a Duolingo Proctor, and the results are available within 48 hours. English proficiency scores from TOEFL, TOEFL Jr., iTEP SLATE, or IELTS will be accepted in lieu of the DuoLingo English Test (DET).